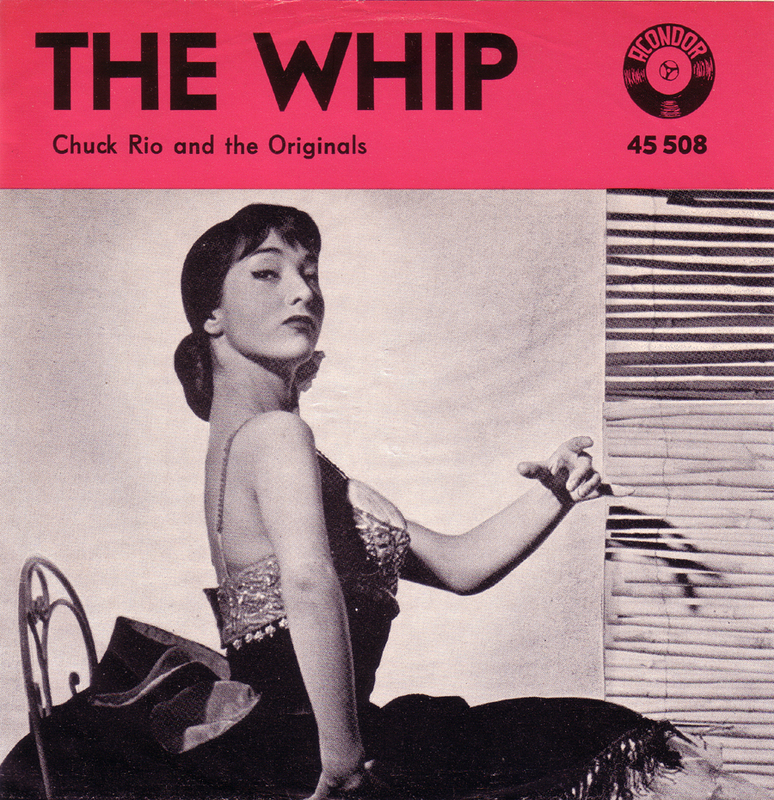 Chuck Rio (born Danny Flores, 1929-2006) wrote the 1958 No. 1 hit song “Tequila” while being with the Champs. In 1959 he left the Champs and formed the Originals. The two songs here are quite similar to “Tequila”. 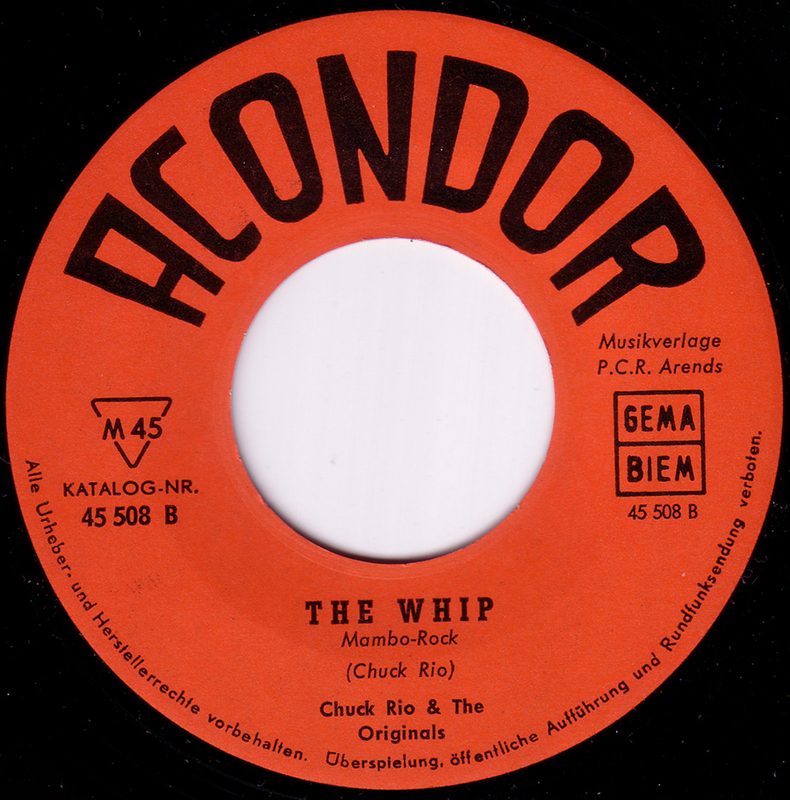 This is the German pressing that came out in 1963 on the Acondor label out of Osnabrück. Chuck Rio is one of my father-in-laws favorite singers. He has been trying to purchase a record of them for the past 15 years without any success. Do you know of any locations where we can purchase this record? I´m sorry but I don´t know. Maybe on Ebay. I think I can help Blanca. There’s an Ace cd called “The tequila man” by Chick Rio with these two song and other 28. It’s on ebay though it’s not cheap.